There are currently 246 people online. Cooler Master announces the Seidon 120V v2, a low-cost liquid cooling solution for processors. It should be available in European stores today for 45EUR. Cooler Master announces today the Seidon 120V Ver.2, the latest additions to Cooler Master's all-in-one liquid cooling line. 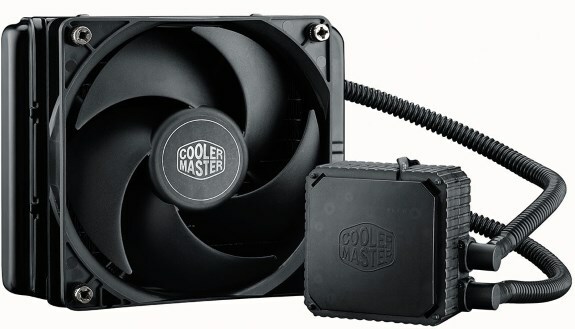 Cooler master already launched its first AIO liquid cooler in March 2004, getting back to the liquid cooling market in 2012. This was when the award winning Cooler Master Seidon series was introduced with the 120M, 120XL and 240M models, based on Cooler Master's own liquid cooling engineering. The new pressure optimized Silencio FP 120 PWM fans produce as little noise as 6.5dBA with the 120mm size ensuring compatibility with a wide range of chassis options. That means that when you need it PWM technology will dynamically increase your fan power relative to the motherboards heat sensors.